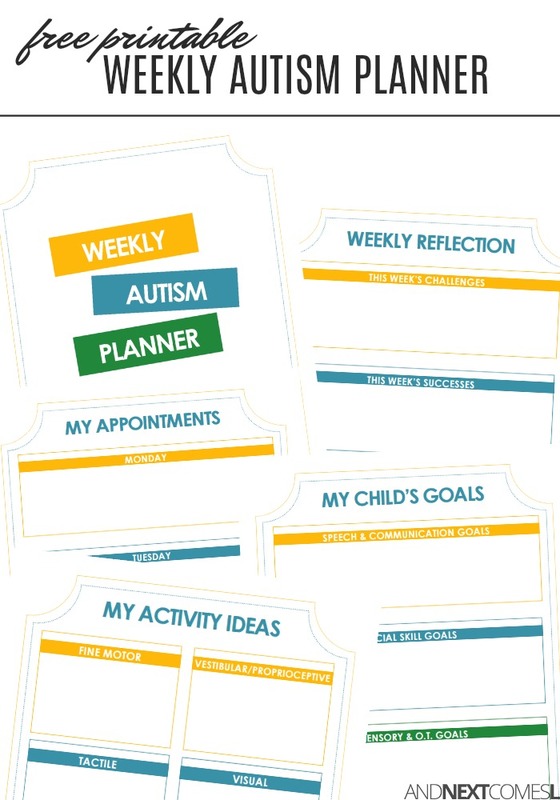 A free weekly autism planner for parents that includes a free printable planner! I created the Weekly Autism Planner with busy autism families, like you, in mind. By joining the planner newsletter, you will no longer feel lost, alone, or overwhelmed. 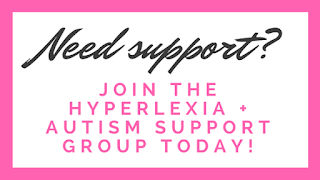 You'll start to feel confident and knowledgeable, armed with tools and resources to help you tackle that next IEP meeting, to support your child through that inevitable meltdown at the grocery store, to understand your child's diagnosis, and to build your child's social and life skills. And most importantly, you'll find your support network. Your community. You deserve a supportive community and access to inexpensive resources. 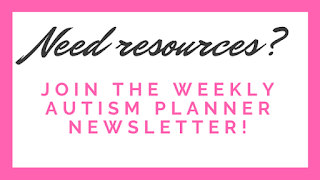 Who is the Weekly Autism Planner Newsletter for? I get it. I have felt most of these, if not all, over the years. And trust me, nobody should have to experience these frustrations. Join me and nearly 50,000 of other families around the world who already receive the Weekly Autism Planner. Are you ready to connect with your community and feel less alone? Are you ready to get the tools and resources you need to improve your day-to-day life? When you join the Weekly Autism Planner newsletter, you will receive the eight page printable planner as a gift. At the start of every week, you will receive an email that will help you fill that planner in. But, like you, I know how expensive raising a neurodiverse child can be, so that is why you'll also receive the Friday Freebies email each week which highlights some incredible autism and sensory freebies that will help you and your child thrive! To join and get your free printable, simply enter your details below. The download page was jibberish???? It was likely because the password was typed wrong. I am having the same problem the site just sends me around in circles this is getting frustrating. All printables are emailed directly to you so be sure to check your email inbox, including spam/junk folders. All instructions and details are clearly written on the thank you page. It even explains an alternate way to access the printable you requested using the subscriber library (in the event the printable did not end up in your email inbox). Please read the thank you page carefully as all details are there. You can request your copy here: https://www.andnextcomesl.com/2016/02/free-dinosaur-i-spy-printable-for-kids.html or from the subscriber library. No resources. It just sends me around in circles. Same story for me also. I love the idea of your resources, but the time involved to then NOT find the resources is frustrating.